ANDOVER — The Town of Andover will celebrate Holiday Happenings on Friday, Dec. 7, from 4-8 p.m. Holiday Happenings is a community wide event that will kick off the holiday season in Andover and Light Up The Night! Festivities will take place throughout Main Street and the Park at Town Hall. The Park will host food vendors, a carousel ride, entertainment and the tree lighting. This year, additional activities will take place on Main Street including photos with Santa at Old Town Hall, carnival rides, live music coordinated by the Free Christian Church, Roaming Railroad train rides, a holiday stilt walker, arts & crafts at the Center @ Punchard, along with shopping and dining at many downtown shops and restaurants. The evening concludes with our fireworks extravaganza, where we will “Light Up The Night” in the playstead behind the Andover Youth Center. There will be much to do for all attendees – all amidst participating businesses open late, so event goers can get in on some shopping while enjoying the happenings. “We are excited to see Main Street back in business and our residents supporting our local business owners, some of whom lost so much this past fall,” said Flanagan. The Town of Andover, staff and volunteers hope you will come out and Light Up The Night with us at Holiday Happenings! For more information on Holiday Happenings, visit www.AndoverMA.gov. ANDOVER — The Town of Andover continuously seeks to provide residents and business owners with key updates regarding the ongoing recovery and restoration efforts following the Merrimack Valley Gas Emergency. The Massachusetts State Senate has scheduled two oversight hearings of its own next month. The first hearing will be held on Dec. 4 in Boston, while the second will be held in the Merrimack Valley on Dec. 17. Earlier this week, the United States Senate Committee on Commerce, Science and Transportation, led by Sen. Edward J. Markey, held a field hearing in Lawrence to demand answers on behalf of the affected communities and hold those responsible to account. The “House Ready” process is expected to be completed between Dec. 2 and Dec. 16, and a Rapid Re-light process has been implemented that will result in gas service being restored ahead of Dec. 2. A total of 90 percent of Andover residents and 94 percent of business customers who lost gas service have had their service restored as of Nov. 27. Columbia Gas releases a daily briefing with updates on the progress of the restoration effort. Click here to read the briefing for Nov. 29. Hot water heaters, stoves and dryers will be replaced and boilers and furnaces will be safely repaired or replaced with those being repaired eventually being replaced beginning in the spring. Columbia Gas has received nearly 5,000 claims from Andover residents and business owners and has paid out $21.9 million to Andover gas customers as of Saturday. If any resident or business owner in the affected area experiences frozen pipes, they are urged to call the Columbia Gas emergency hotline at 800-525-8222. 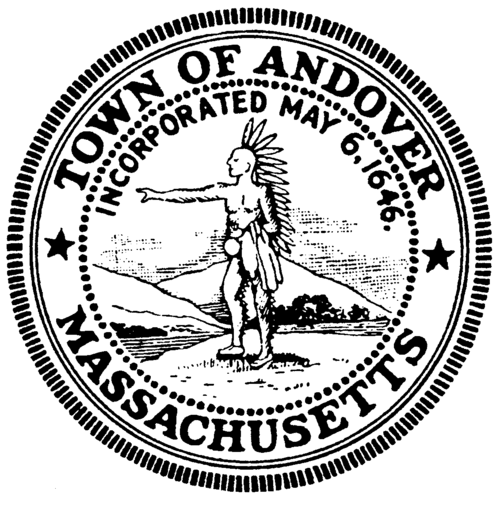 The Town of Andover will not collect parking fees at municipal parking lots through Dec. 30. The Town encourages downtown visitors to park in the municipal parking lots. This includes Lot 1 (between Andover Village Square and Caffé Nero), Lot 2 (behind Old Town Hall) and Lot 3 (Park Street Village). The event will be held across a variety of locations throughout downtown, including Old Town Hall, Memorial Hall Library, Andover Historical Society, Center at Punchard and the park at Chesnut and Bartlet Street. Festivities will take place throughout Main Street and the Park at Town Hall. The Park will host food vendors, a carousel ride, entertainment and the tree lighting. This year, additional activities will take place on Main Street including photos with Santa at Old Town Hall, carnival rides, live music coordinated by the Free Christian Church, Roaming Railroad train rides, a holiday stilt walker, along with shopping and dining at many downtown shops and restaurants. The disposal of condemned or replaced appliances is part of the recovery and restoration process. Your appliances will be removed and picked up by Columbia Gas or its contractors. Residents and business owners should not endure any cost for disposing of appliances. Attorney General Maura Healey’s office has released information for landlords and tenants affected by the Merrimack Valley Gas Emergency, which can be viewed in full here. Columbia Gas has provided information on how residents can expedite the gas disaster mitigation process on their own. For those who decide to go about repairing or replacing their own appliances, there are several steps that the utility has provided for residents interested in doing so. To read the Columbia Gas mailer containing extensive information that was sent to customers, click here. Andover residents still have the option to seek free alternative housing while their gas service remains offline. Housing options include apartments, hotels and temporary trailers, and are completely paid for by Columbia Gas. As of Tuesday, 555 Andover residents (down from 556 on Tuesday) were being lodged in alternate housing arrangements, including apartments, hotels and RVs. Impacted Columbia Gas customers who choose to be placed in alternative housing while their homes are without gas should call Columbia Gas’ Claims line: 800-590-5571. Transportation arrangements will be provided for residents staying in hotels and apartments who do not have their own means of transportation. A congregate shelter has been established for those in need. It is capable of hosting up to 1,000 people and will have hot meals available. The shelter is located at 46 Stafford St., Lawrence. The congregate shelter has been established as a warming center with showers, and can accommodate residents for short-term overnight stays. Columbia Gas has developed an integrated process to quickly restore business customers. The “Back-to-Business” initiative will assign a project manager to each business owner who will be responsible for addressing the businesses’ unique needs in order to make the business ready to receive natural gas. The project managers will proactively reach out to business owners to introduce themselves and will begin visiting businesses in the coming days. Under the direction of each project manager will be a fully integrated team including claims adjusters, plumbers, laborers and electricians to quickly restore business customers. The “Back-to-Business” initiative’s integrated teams will work out of three business centers, located in each of the affected communities. These centers will serve as the operation center for construction operations managers, claims representatives and linguists, and will work to build customized plans for each business based on their assessed needs. While business owners will be hearing from their project manager proactively, these centers are open to the public should business owners choose to visit them during the claims and recovery process. The centers are open from Tuesday to Friday from noon-8 p.m. and Saturdays from 8 a.m. to 2 p.m.
As of Tuesday afternoon, 80 percent of Andover residents and 88 percent of business customers who lost gas service have had their service restored. Columbia Gas releases a daily briefing with updates on the progress of the restoration effort. Click here to read the briefing for Nov. 20. On Saturday, Nov. 24, from 11 a.m. to 1 p.m., Andover residents are encouraged to visit downtown for a family-friendly Small Business Saturday event, which will include an opportunity for residents of all ages to explore a variety of town-owned vehicles and equipment. The Touch-A-Truck event will take place at Old Town Hall and will feature vehicles from the Andover Police and Fire Departments — including a police cruiser, motorcycle and a special SWAT vehicle courtesy of the Northeastern Massachusetts Law Enforcement Council — as well as Department of Public Works equipment, like a dump truck and a backhoe. The event will also feature a limited supply of free giveaways celebrating the beginning of the holiday shopping season. Small Business Saturday is part of an ongoing, multi-faceted effort by the town to support businesses impacted by the gas crisis. On Nov. 26, the United States Senate Committee on Commerce, Science and Transportation, led by Sen. Edward J. Markey, will be holding a field hearing in Lawrence to demand answers for the affected communities and hold those responsible to account. Markey has invited members of the Merrimack Valley community to share how they’ve been impacted by the gas emergency. To submit stories to the congressional record ahead of the hearing, click here. The Massachusetts Senate has scheduled two oversight hearings of its own next month. The first hearing will be held on Dec. 4 in Boston, while the second will be held in the Merrimack Valley on Dec. 17. As of Monday, 541 Andover residents were being lodged in alternate housing arrangements, including apartments, hotels and RVs. The centers will be open from Tuesday to Friday from noon-8 p.m. and Saturdays from 8 a.m. to 2 p.m. The Touch-A-Truck event will take place at Old Town Hall and will feature vehicles from the Andover Police and Fire Departments — including a police cruiser and motorcycle — as well as Department of Public Works equipment, like a dump truck and a backhoe. Last Wednesday, a group of town officials, high school students and public relations students from a Northeastern University School of Journalism public relations class took to downtown Andover, visiting more than 30 town businesses and Tweeting with the hashtags #AndoverBiz #WeAreAndover #MVBacktoBusiness. As of Wednesday afternoon, 66 percent of Andover residential customers who lost gas service have had their service restored. Also as of Wednesday afternoon, 79 percent of commercial gas customers in the affected area have now had their service restored. Columbia Gas releases a daily briefing with updates on the progress of the restoration effort. Click here to read the briefing for Nov. 14. As a first step, the Attorney General’s Office encourages landlords and tenants to discuss the situation and work cooperatively to try to resolve issues. Landlords and tenants should discuss what claims each can make with Columbia Gas. For example, landlords should file claims for lost rent with Columbia Gas. Neither landlords nor tenants should suffer any financial loss. Columbia Gas is responsible for all losses caused by the gas explosions. Tenants and landlords should be aware of their rights, duties, and protections under Massachusetts law. Tenants or landlords who are having problems can call the Attorney General’s Merrimack Valley Hotline at 617-573-5370 for help. Affected residents can request temporary alternative housing by calling Columbia Gas at 1-800-590-5571. To read the Columbia Gas mailer being sent to customers in full, click here. Contact Columbia Gas and make the claims adjuster assigned to your case aware of your intention to self mitigate. Adjusters will walk residents and business owners through the process, including briefing them on the information they’ll need for later reimbursement. The Columbia Gas claims phone number is 1-800-590-5571. Hire only licensed installers, who must obtain appropriate permits from the Town of Andover in order to complete the work. Work may include pressure testing, repair and replacement of gas lines, extension of outside gas lines, installation of appliances and completion of a town inspection. Once all of that work is completed, gas service may be restored to individual homes. Work with a claims adjuster to purchase replacement equipment and appliances. Columbia Gas will reimburse customers for reasonable replacement costs of like kind and quality appliances, including making payments on their behalf or paying customers back for out-of-pocket costs. Install equipment and appliances, and complete inspection. Once installation is complete, licensed installers will arrange a town inspection. Only work that has been appropriately permitted prior to completion will be eligible for an inspection. Contact Columbia Gas for service restoration. Once inspections are complete, customers will receive either a green “house ready” tag, or an orange “house ready” tag depending on a home’s level of readiness for service restoration. To have service restored following self mitigation work, call 1-866-388-3239.